Use the same crust recipe from last week. I like to flute the edges all pretty, but you can edge it however you'd like. Just be sure to poke the dough in various places with a fork to allow for some ventilation. 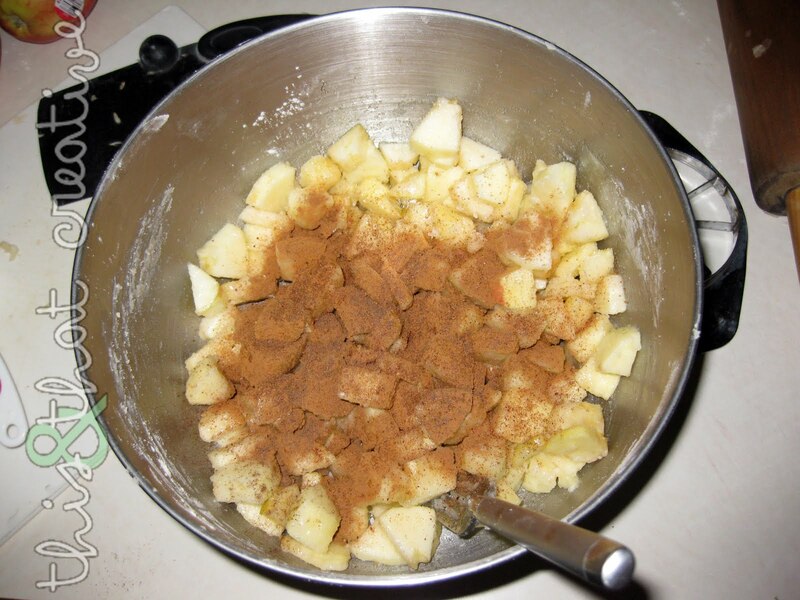 Place your cut apple pieces in a large bowl with 1/2 teaspoon of cinnamon, nutmeg, allspice, and a dash of cloves. 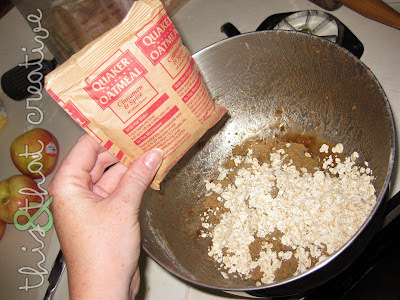 Stir it around and then add 2/3 c. of sugar. 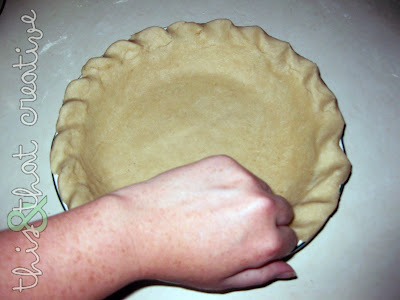 Mix thoroughly and place in pie crust. Reduce the oven temperature to 375* and bake for 10 minutes. 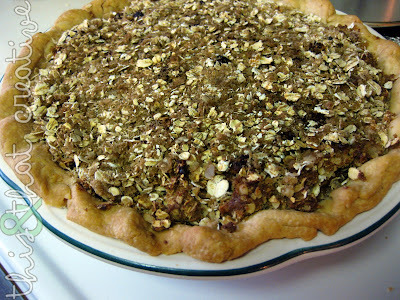 While the pie is in the oven, make the streusel topping by combining 1/2 c. brown sugar, 2 T. butter, and 3/4 c. oatmeal. 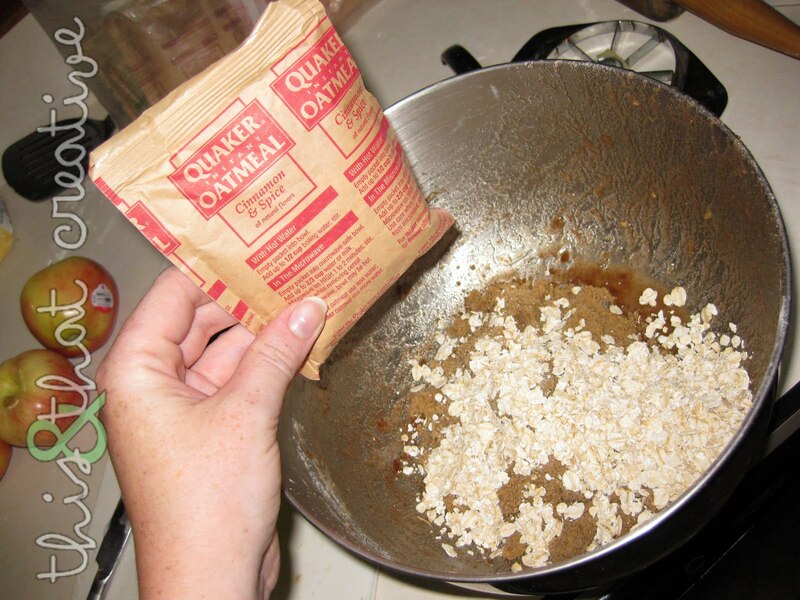 **Big fat secret** I use the cinnamon spice pre-packaged stuff for added flavor (I usually make a smidge more of this because I find it delicious). Remove the pie from the oven and sprinkle the streusel topping over the apples. Return the pie to the oven to continue baking for an additional 30 minutes. If the streusel or crust are getting too brown, you can cover the pie lightly with aluminum foil. 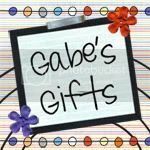 All I can say is--looks delicious!